How many social media apps do you have on your phone? How many do you use? Quite a lot, right? According to estimates, social media users worldwide reached 1.96 billion and the number is expected to reach 2.5 billion this year. You can tap into such large audiences by ensuring you make use of social media well to market your business and gain visibility and traction. Social media marketing involves creating and sharing different types of content- blogs, videos and images on different social media platforms to engage audiences and followers and promote your product or service. Want to develop a successful social media strategy for your business or startup? When we talk about using social media, there are more than 50 platforms available for use, but here, we will talk about the most common and popularly used social media platforms and the advantages and disadvantages of using them. Facebook is the most popular social media platform today and boasts of more than 2 billion monthly users. The biggest advantage of Facebook is its reach since almost everyone with a smartphone uses the app. Facebook is user-friendly and helps you analyze whether your social media strategy works or not. It provides insights and conversion measurements that are extremely beneficial. It is also a cheap medium for marketing while allowing the option to boost and pay certain ads. This being said Facebook also have a few drawbacks. Due to the vast number of users, it creates clutter. There is a danger of not even getting noticed by your target audience. Twitter is loved for its immediacy in broadcasting and virality. While its 140 character length tweets were its USP, it has now extended to 280 characters to make it more user-friendly. Twitter is great for building a brand identity and encourages engagement through conversations with its followers. Today, Twitter aids customer service by being responsive to feedback, inquiries and solving customer’s issues with urgency. While its length is an advantage, the limitation of characters is also a disadvantage as tweets can be misinterpreted at times. It definitely needs time and effort if not money. That means you need someone to keep a check on tweets constantly and respond quickly. If you don’t tweet at the right time, it’s easy to be overlooked. Also, spammers, trolls, negative feedback, and criticism can easily endanger your reputation if you allow them to go unnoticed. Linkedin is a good tool for building your brand and reputation. It encourages professional dialogue with colleagues, companies, competitors and in turn, helps with networking and collaborations. If you are looking for recommendations and growing your business, LinkedIn is the way ahead. It is also important to bear in mind that using LinkedIn is time-consuming and you will need to invest a lot of time in ensuring that your LinkedIn page looks good and is constantly updated. It is also a niche platform with fewer users. Pinterest is slowly gaining popularity due to its visual content. It is useful to showcase products and is excellent for artistic exposure. Easy to use, all users have to do is ‘Pin’ something that they like and this helps to generate referral traffic. On Pinterest, specific users are looking for certain things. If they are your target audience, Pinterest is the way to go. Pinterest has a higher number of women users. Sometimes, this can be a disadvantage, and your results might get skewered. Also, constant pinning and sharing of images can lead to copyright issues. Instagram is known for visual promotion of images and videos. It has a wide reach and engagement especially among youngsters, and its user base is growing. It is favorable to include in your social media campaign plan as it has easy sharing facilities to social media platforms like Facebook, Twitter, and Tumblr. The use of hashtags on Instagram help in gaining visibility for your posts. Instagram doesn’t have many disadvantages, but it is important to keep a few things in mind while considering your social media action plan and target audience. Images need to be of good quality, and they have to be squared. Sometimes, this might mean losing out on certain content or taking the additional effort to ensure your content is aligned. The app is not available on all Operating Systems which can be a limiting factor. The biggest advantage of using Tumblr is that it is both blogging plus networking social media platform. It is user-friendly, easy to use and set up and can even be customized if you know coding. Tumblr integrates SEO options and also provides Google analytics so that you can create your content according to the results. While coding would help you use Tumblr to your advantage, not knowing to code would leave you with a basic setup, and you might not be on par with competitors. Tumblr has a smaller reach, and the users might not be the ones you want to reach. Since it is a blogging platform, it is time-consuming. Another genuine danger to be noted is that the system could go down anytime and all your content would be lost. Some people forget to include WhatsApp in their social media strategy plan. That’s a big mistake! WhatsApp has the largest reach today; it is quick, user-friendly, can accommodate audio, videos, and images. It is one of the cheapest platforms- all you need is a certain amount of data. The facility of broadcast lists is also helpful in segmenting your target audience into groups and sending customised messages to each. Abusing the use of WhatsApp can backfire. Too much of promotion and marketing via WhatsApp can cause people to block your number and losing potential customers. Also, everyone is constantly sending content to each other which results in a lot of clutter, and your content could get lost amidst it. Now that we have enough information on how different platforms work, we can discuss whether you should use a common social media plan for all of them or a unique one for each of them. Consistent Brand Image – Having a common plan for all of your social media ensures a consistent brand image. It will help your users to recognize you anytime and anywhere. This, in turn, increases memorability when they keep sea a similar message everywhere. Easy and Quick – Having a common plan for all social media is easy and quick and doesn’t require much time and effort. Repetitive Messaging– Repeating the same content, images, videos everywhere can be irritating and turn off your audience resulting in a loss of customers. 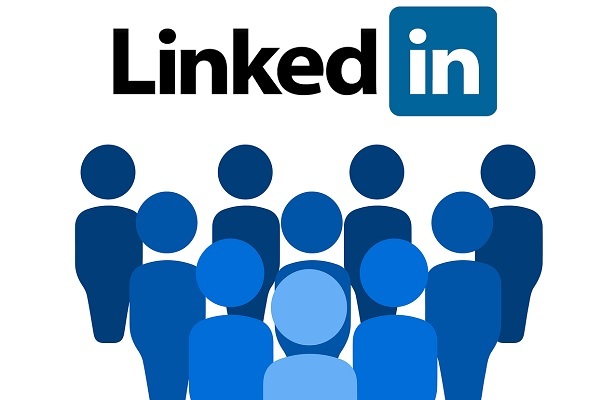 Target audience– If, for example, your target audience is only on LinkedIn and you have a common social media plan for all platforms, it will not work for LinkedIn and will thus be useless. Waste of resources– It is a waste of time, money and effort to use the same message on undirected activity instead of devoting your resources toward a platform that you know will bear results for sure. Research and analysis– If you use the same media plan for all the platforms, you won’t be able to test what works and what doesn’t. You will not be able to discern whether the content is actually contributing to your business or putting off people. Competitors– And finally, if you are using a common social media plan for all platforms you are willingly giving your competitors who strategize an advantage and a lead in reaching out to audiences. Now, it’s time to think about how to make a social media plan that is customised to each platform and whether that will help your business. There are differences in the users, tools, effects, and environments of the different platforms. Each of them can play a different role in affecting your user and pushing him/her to try your product or service. Customisation– Each social networking platform has a different set of users and influencers. Your ads should be tailored according to these audiences with triggers for each of these influencers. Increasing Website Traffic– Using subtle messaging in different ways on different platforms can help in improving traffic to your website, in turn, growing conversions from potential customers to active customers. Raising Brand Awareness– If your sample social media plan contains variations in the messaging and content but with the same intent, it can help in creating additional awareness about the product/service, give more information, raise brand awareness and also a positive brand association. Interaction with Audiences– Increasing the use of platforms like Twitter, Google+, and LinkedIn can help to increase communication and interaction with your key audiences. Conversations and engagement always help, and this lets them know that you care about them. Analytics– When you customise your social media marketing plan to each platform, you can also analyze the results to check what worked and what didn’t and make changes accordingly. You can track competitors and gain insights into which content works best with certain audiences. Expensive– Having a different social media campaign plan for each platform can turn out to be expensive regarding time, effort, money and other resources. You will need to invest time to devise a plan for each platform, research, analyze, make amends and put recommendations into practice for each plan and platform. Know-how– Strategising for different plans also calls for employees with the knowledge and information of using the various platforms. You will need to hire more employees or train your current employees to gain the necessary skills in using the social networking platforms. Spearmint LOVE, a clothing brand for babies, a brand from Arizona made good use of Facebook ads to promote their products. You can read more about it here. Instagram has been preferred over Facebook when it comes to promoting visuals like apparel, food, and gadgets. Victoria’s Secret got more engagement on Instagram with 283,030 likes compared to 2078 likes on Facebook. Brands like Playstation, Mercedes Benz, and McDonald’s also found similar results while using Facebook and Instagram. It is important to keep in mind the unique user base and environment that each platform has and devise your approaches to them accordingly, thus making maximum use of them. If you’re looking to network and engage with your audiences, Facebook, Twitter, and Google + are the best. Twitter and Tumblr are great as microblogging platforms. From the visual aspect, Instagram, Snapchat, and Pinterest are the way to go if you need to showcase products. Youtube, Vimeo, Periscope and Facebook lives are great to catch the attention of customers with videos and also to share them.